Be Safe on the road this Easter! Easter holidays are around the corner! If you’re planning on driving to your holiday destination this Easter, then you need to ensure that you’re safe and ready to enjoy your holidays. Whether you’re driving a short distance or across the country, never neglect to do all the recommended safety checks on your vehicle. A well maintained vehicle will allow for safer driving and reduce the risks of getting stranded alongside the road! Among many factors that can leave you stranded, there is often a tendency to neglect one of the most important and overlooked components of your vehicle, your automatic transmission. Automatic transmissions are one of the most complex systems within your vehicle and the most expensive to repair! If your automatic transmission is problematic then you are driving on borrowed time. Any of these symptoms are a cause for concern and should never be ignored! Each symptom can have numerous probable causes, some involving extensive repairs and some only requiring a minimal adjustment or service. Either way, we are fully equipped to assist you. 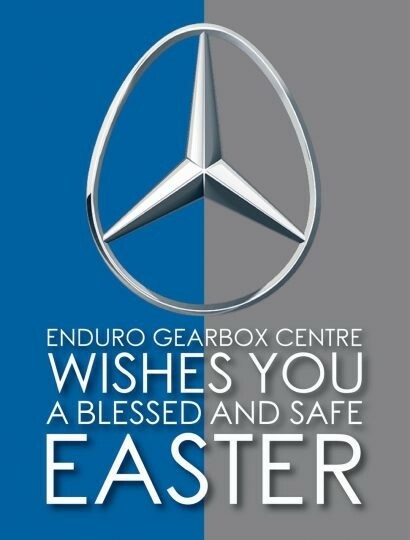 At Enduro Gearbox Centre we are passionate about what we do. For over two decades we have been providing a comprehensive gearbox repair service on automatic Mercedes-Benz transmissions, from initial diagnostics and minor repairs to complete rebuilds and service exchange gearboxes. Investing in the maintenance or repair of your automatic transmission will without a doubt extend its life span and keep you safe on the road! And on that note, we wish you all a blessed and safe Easter!